What are compression couplings used on? May 9, 2017, 8:10 p.m. Compression coupling application is to join shafts of equal diameter, they do not require a key. 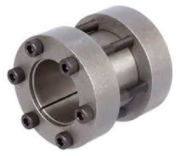 The flanges are tapered bore for a compression fit by a tapered sleeve onto the shaft. Used for light single direction loads. May 9, 2017, 8:15 p.m.